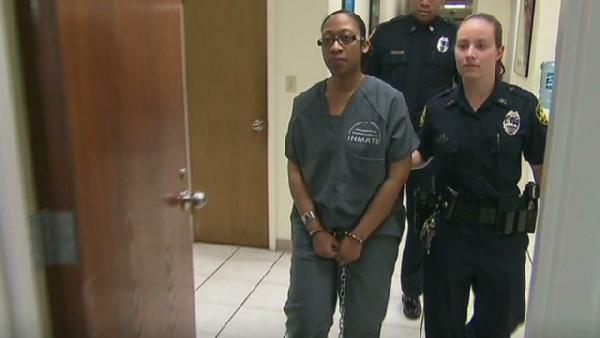 *Today, the court upheld Marissa Alexander’s bond release, which means she is allowed to continue her house arrest and remain with her children and family until her new trial begins on March 31st. State Prosecutor Angela Corey filed a motion alleging that Marissa Alexander broke the conditions of her release by making unauthorized trips outside her home. Yet, Alexander’s legal team presented proof that the Correctional Service Counselor who supervised Alexander’s house arrest authorized every trip listed in the State’s motion and the Counselor asserts that Alexander is not in violation of her release. This motion is another example of Angela Corey’s on-going abusive harassment of Marissa Alexander which amounts to a pattern of emotional and psychological abuse. Free Marissa Now member, Aleta Alston-Toure’, said, “While we are relieved that Corey’s motion was denied, we must ask the question, why is Angela Corey targeting rather than supporting Marissa Alexander, a victim of domestic violence who defended her life after her husband strangled her and threatened to have her killed?” In 2010, Marissa Alexander fired a warning shot to defend her life during an attack from her abusive estranged husband, causing no injuries. Yet, Angela Corey prosecuted Alexander, who was found guilty and sentenced to a mandatory minimum of 20 years. That verdict has since been overturned and there is a new trial scheduled to begin on March 31st. Corey’s actions are rallying the growing movement of people in Jacksonville and all over the world who stand with Marissa Alexander. “Supporters will not be intimidated by Corey’s desperate tactics and will continue to demand that this extreme harassment by Angela Corey’s office cease and the case against Marissa Alexander be dropped immediately. We are more committed than ever,” said Alston-Toure. The movement has raised over $22,000 from hundreds of donors who donated to Marissa Alexander’s legal defense fund with love and solidarity. We will increase our efforts to educate communities on how institutional racism in the criminal justice system can further victimize and entrap victims of domestic violence. We will walk with Marissa Alexander every step of the way until she is fully acquitted. We also encourage supporters everywhere to continue to donate to her legal defense fund (http://tiny.cc/freedomfundraiser2) to ensure that her acquittal is finally won. Free Marissa Now Mobilization Campaign is a national grassroots campaign led by a core of organizers representing the African American/Black Women’s Cultural Alliance, New Jim Crow Movement – Jacksonville, Radical Women, INCITE!, and the Pacific Northwest Alliance to Free Marissa Alexander. For more information, see www.FreeMarissaNow.org.